Anacortes is a destination and pass through community. Many who visit the San Juan Islands pass through the City. 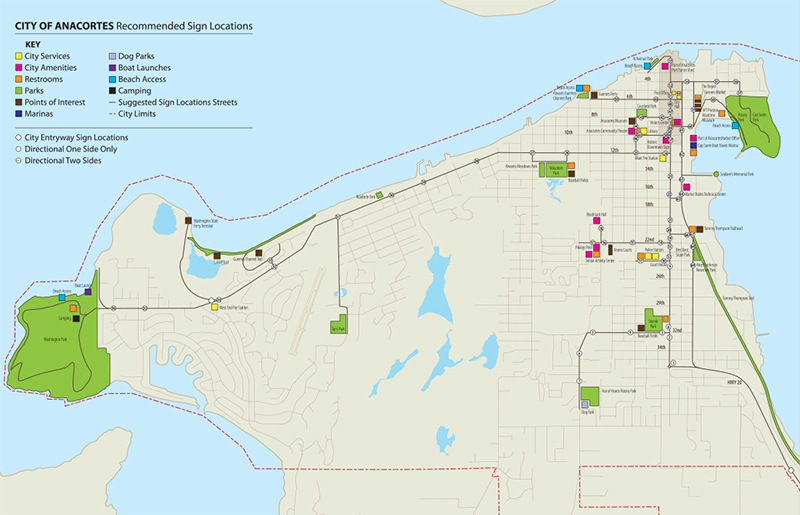 Looking to capture the pass-through traffic, City staff called upon BrandQuery to develop a comprehensive wayfinding program. To help visitors navigate and encourage visits to local destinations, BrandQuery held focus groups with key stakeholders, audited the City, developed a plan, and identified destinations. 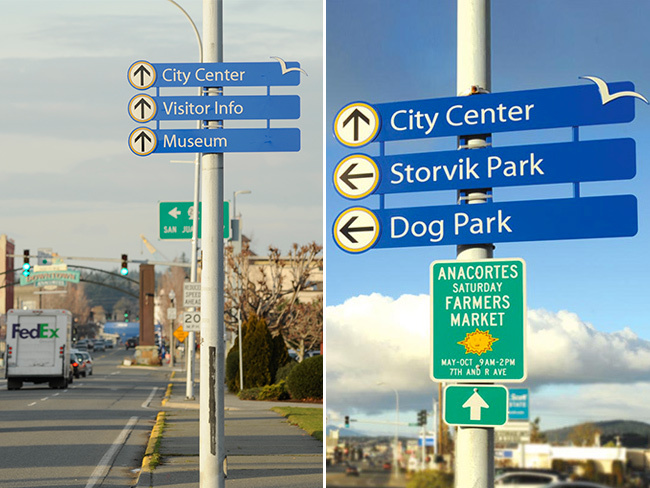 Being sensitive to the amount of visual clutter, BrandQuery pinpointed existing poles for sign mounting. 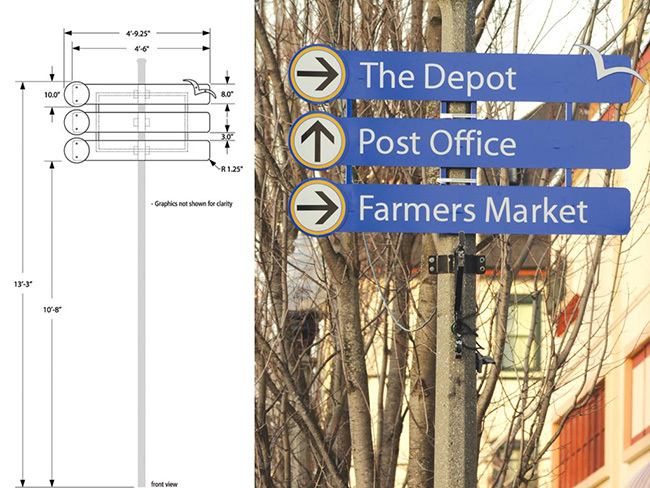 Only when unable to utilize existing poles were pole installation locations identified.